II Premium Wood Glue, 1 qt. 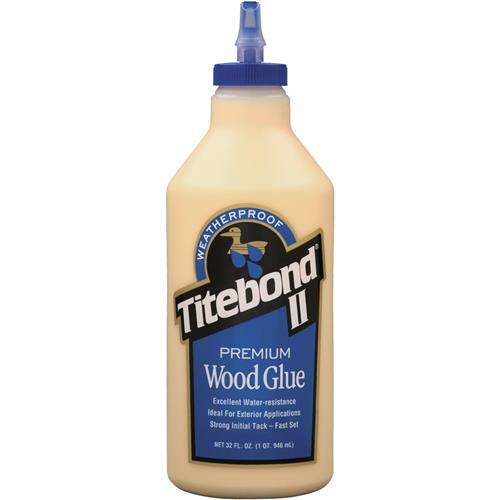 Titebond 5005 - II Premium Wood Glue, 1 qt. Titebond II Premium Wood Glue is the only leading brand, one-part wood glue that passes the ANSI Type II water-resistance specification. It is ideal for exterior woodworking projects, including outdoor furniture, birdhouses, mailboxes, planters and picnic tables. 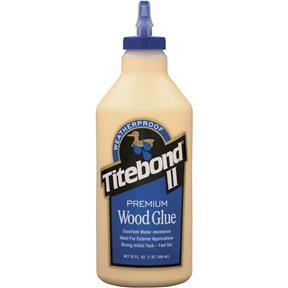 Titebond II Premium provides a strong initial tack, fast speed of set, superior strength and excellent sandability. It is FDA approved for indirect food contact (cutting boards) and is ideal for radio frequency (R-F) gluing systems. 1 qt. bottle. Help with me not having to go out and buy all the time. Titebond...is there anything else to say.